Indore (KP)--The Musician-turned-sant-baba, Jaspal Singh Amrikawale’s recent visit to Indore continues to attract controversy despite the premature cancellation of his tour in Madyha Pardes last week. The self-styled sant caught the local Sangat’s attention last week when he declared in an audio interview that the Gurbani Raags contained in Sri Guru Granth Sahib ji were "absolutely outdated." He also questioned the Panthic Maryada restricting non-Sikhs from reciting kirtan at Gurdwaras, and vowed to utilize non-Sikhs in his musical performances. Since then, other allegations about the baba have surfaced, including that the baba eloped with one of his female students while in the UK, an act that supposedly shattered the faith of many of his admirers. It is also confirmed that his followers do refer to him as their "guru" and the baba himself considers Baba Isher Singh Rarewale, a widely respected Sikh, as a guru. • The baba stated that Isher Singh Rarewale is one of his gurus along with Guru Nanak Dev Ji. "Baba Isher Singh is my guru"
• The baba states that Tagore, Mahatma Gandhi, and Rajinder Parsad were all mahapurakhs, and that he truly enjoys reading their books. No books by Sikhs, or on Gurmat or Gurbani are even mentioned by this self-styled sant-baba. • Similar to many North America based cultists, the baba keeps parroting that the whole world is his family, and neglects to mention anyone from his actual family, including ex-wife or the student he eloped with. "The entire world is my family"
• He states that he spends his evenings and nights listening to the compositions of Valyiat Ali Khan, Gulam Ali Khan, Pandit Ravi Shankar, and names two of his favorite songs: "Raenay Bettee Jai" and "Pucho Kaisay Raen Bataaee." Both of these songs are considered romantic love songs with risqué overtones. The former is from a Bollywood movie and sung by a prostitute while waiting to see if a man has left his wife for her. Clearly, instructions in Sri Guru Granth Sahib Ji, and the Sikh Rahitnamas, forbid listening to worldly and lustful songs. How an individual who called himself a sant-baba can justify and flaunt about listening to them as part of his evening routine is troubling. An apostate’s singing of obscene songs and melodious tunes and the utterance of useless words. The Khalsa Alliance, which has kept tabs on the activities of various babas and deras abroad, including Baba Daljit of Chicago and Baba Maan Pehowa, stated: "Comparing themselves to gurus seems to be a common trend among up and coming self-styled sant babas and their neophytes. Even though there is no direct connection between Baba Jaspal and the Jota of Baba Isher Singh Rarewale. Dressing in white and utilizing the well known Baba Isher Singh’s name is an easy ploy to gain and manipulate followers. This seems to be the modus Operandi of this baba also." It was reported that his last musical program under the guise of Gurbani Kirtan was held at the residence of Gurmeet Narang in Indore. As reported previously, Gurmeet is the brother of RSS activist Ajit Narang. Baba Jaspal’s function at the Narang house was attended by well known RSS workers and sympathizers from the Indore area. Panthic organizations Shahbaaz Khalsa and GURSIKH, both have filed a petition to Sri Akal Takht Sahib against the anti-Gurmat activities of Baba Jaspal. Shahbaaz Khalsa also turned over the entire audio interview conducted with Jaspal in which he claims that Gurbani Raags were obsolete. An extract of that interview was presented in PW last week. The organizations published a two-page leaflet reiterating that the baba, in the interview with Nai-Dunia, said that he only recognized two gurus: one, Guru Nanak Dev and two, Baba Ishar Singh Rarewale. They also submitted an open challenge to Baba Jaspal and his followers should they file a complaint with Sri Akal Takht Sahib to have the non-Sikh kirtan restriction lifted, if they are so concerned about this matter. The self-styled baba and his followers have been claiming that the Sikh Gurus themselves allowed non-Sikhs to recite kirtan in their courts, erroneously claiming that Bhai Mardana Ji, the Bhatts--including Bhai Satta and Balwanda--and Bhai Nand Lal Ji were not Sikhs either. Niranjan Singh, a Khalsa Press columnist, was shocked to hear such remarks made by the baba and his followers, "If these people do not even consider Bhai Mardana Ji, the beloved Bhatts, and Bhai Nand Singh Ji Sikhs, who will they spare? These individuals has spent a good part of their lives dedicated to our Guru Sahibans--they wrote Bani that became part of sacred scriptures. 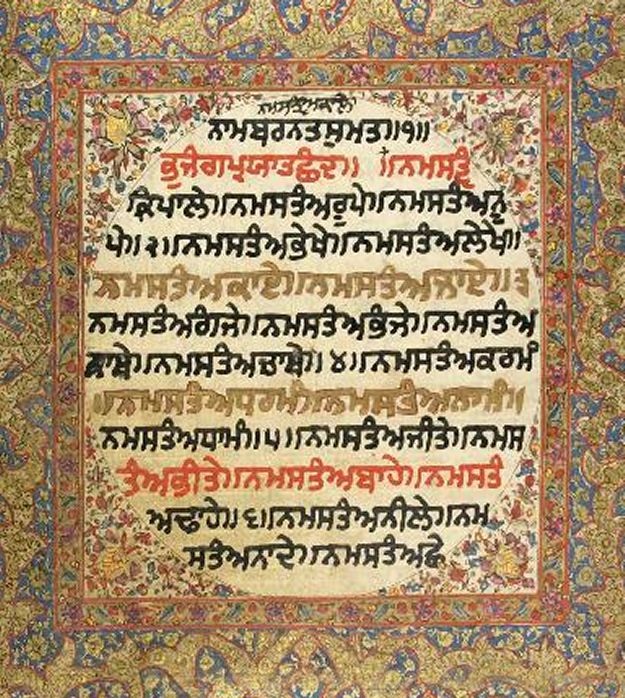 Their bani talks about the qualities of Naam-Amrit, the True Guru, and his Sikhi. If they were not Sikhs, then what else were they? This proves the desperate and illusionary state of mind these neo-sants and their chelas live in." We appreciate your actions and would like to thank you for expoing yet another Baba. May Our Almighty Father - Mother Lord Waheguru Jee bless you and be with you in all you. In exposing this issue we are with you and offer our support. Thank you.